On Wednesday morning , Ladder 65 and Deputy 65 responded to 1577 Neshaminy Valley Drive (ARK Terrace Apartments) for an apartment fire with possible entrapment. Chief 4 arrived and reported heavy fire showing from the second floor and ordered Engine 88 to establish a water supply and go in-service. Ladder 65 arrived and was advised by command to spilt its crew, assist Ladder 8 with roof ops and assisted interior crews with searches (all searches were negative). The occupants of the apartment were able to escape the apartment via a rear balcony. All hands were placed in-service including: Engine 44, 4, 84, Rescue 9 and Rescue 8. Medic 186 transported one subject to a local hospital for smoke inhalation. Bensalem Fire Rescue (FMO) was on location for the investigation. 4 apartment units were damaged by the fire and/or smoke. On Saturday , Engine 65 and Deputy 65 arrived on location of a 2-vehilce MVA in front of Station 65 and reported one person entrapped. Engine 65 went in-service with a combination tool and was able to free the trapped occupant. Medic 186 transported all patients to local hospitals. Engine 88 arrived on scene with smoke showing from a 2 story apartment building. Engine 44 and Ladder 65 were placed in service. The bulk of the fire was quickly knocked. Medic 185 & Medic 186 transported 2 patients to local hospitals. Bensalem FMO was on location for the investigation. 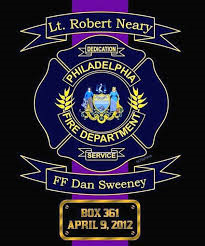 Thoughts and prayers of the officers and members of the Nottingham Fire Department are with the members, friends and family of the Philadelphia Fire Department. 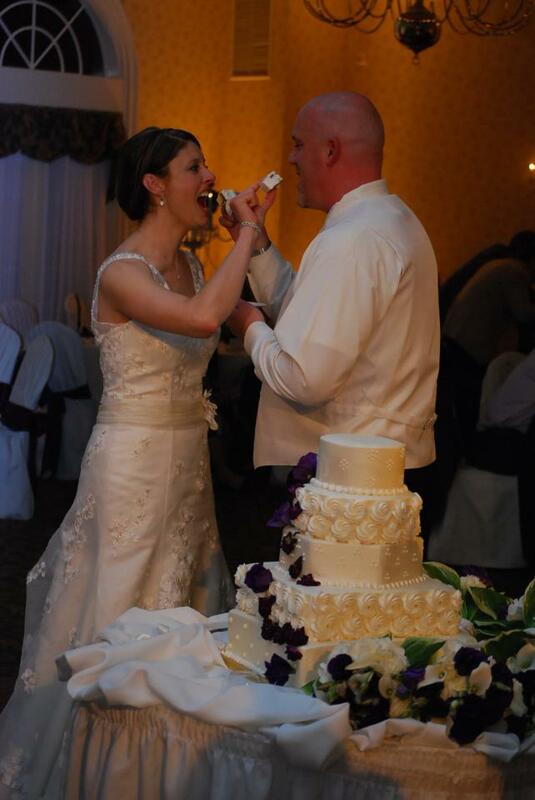 The officers and members of the Nottingham Fire Department wish to offer congratulations to the new Mr. & Mrs. Ralph Huttick, who were married on Saturday April 28th. Best wishes from all of us for a long, happy and healthy life together. 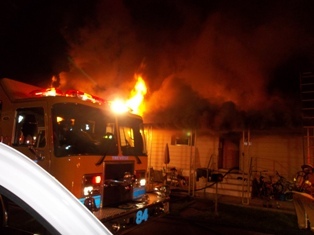 Deputy 65 arrived on scene reporting heavy fire showing from a trailer home in the Penn Valley Trailer Park. Engine 84, Rescue 4 and Ladder 65 were placed into service. Bensalem FMO on location for the investigation and no injuries were reported. Engine 65 arrived on scene at Bristol Rd & Rosemarie Dr with heavy fire shwoing from a vacant dwelling. E65 established its own water supply and went in service along with E88, E44, R8, R9 & L65. Bensalem FMO on location for the investigation and no injuries were reported. Chief 21 arrived on scene at Harpers Crossing Apts reporting heavy fire showing from the roof of a 3 story apartment building and immediately requested a second alarm. Ladder 65 was sent to station 8 for a cover assignment, and added then to the scene when the 3rd alarm was struck after a mayday (firemen down) was called at the scene. 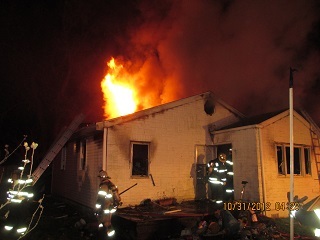 All hands were placed in service and a total of five (5) firemen were transported to local hospitals. 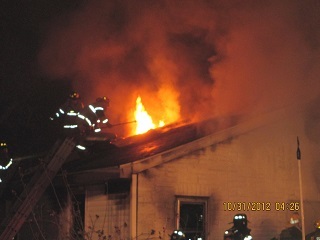 A 4th alarm was later sounded for additional manpower. 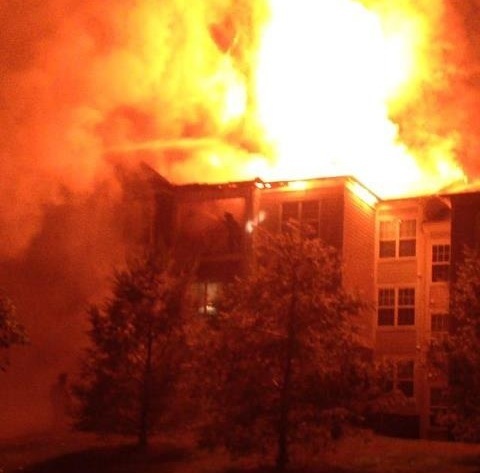 A lightning strike was determined to be the cause of the fire. 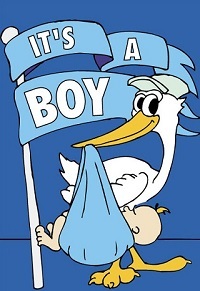 Congratulations to Captain David Marshall and his wife Caryn on the birth of their second child , Alexander Jacob Marshall was welcomed into this world at 2:51 this morning weighing in at 7lbs and 13oz. 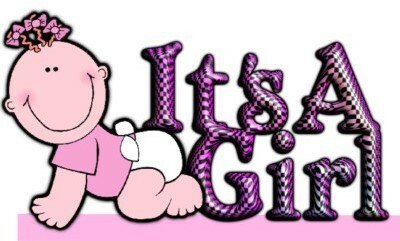 Congratulations to Firefighter Jason Harris and his wife Teresa on the birth of their daughter Julia Ann, little Julia was born at 1:35 this morning. It is with deep regret that the officers and members of the Nottingham Fire Department announce the death of Life Member Mark DeCarlo, who passed away on Tuesday August 14th. Mark joined the NFD in 1967 and spent 35 years as an active firefighter in the department and held many positions within the organization including company President. Thoughts and prayers of the entire NFD family are with the DeCarlo family during this time. Congratulations to Firefighter Scott Ischinger and his wife Lori on the birth of their first child, Laura Marie Ischinger born September 25th at 7:36 pm, weighing in at 5lbs 2 ounces. Congratulations to Firefighter Jay Zawierucha and Jessica on the birth of their son Jason Robert who was born October 1st, weighing in at 7 lbs 9 ounces. Mother, baby and Carney are all doing well. 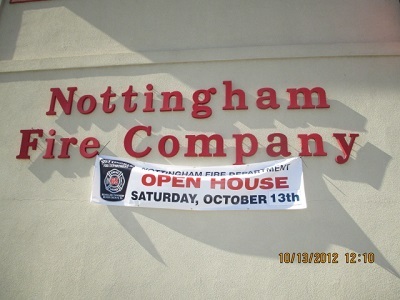 Thank You to all of our friends, families and members of our local community for helping make the NFD's annual open house another success. Special thanks to Carrabba's, CPR Restoration Company, Hillis Adjusters, Walgreens, Bensalem K9 unit, American red Cross, Bensalem Community Service Club, Dave & Busters, Pony Express, Herrs, Bensalem EMS, Ultrazone, Print Masters, Trenton Thunder, JAM Entertainment and the hard working girls for staffing the Alex's Lemonade Stand. 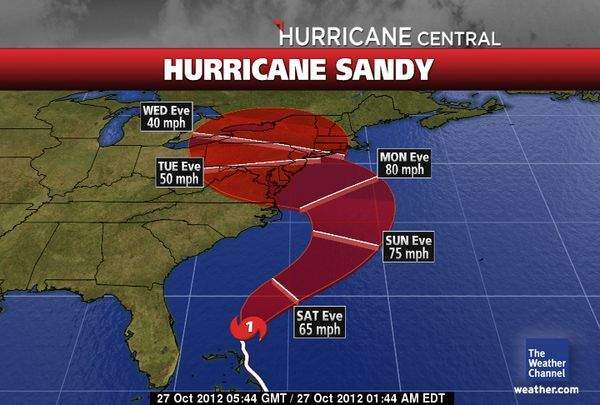 On Monday October 29th hurricane Sandy made landfall on the east coast and impacted the entire region. The Nottingham Fire Department responded to over 25 fire/ems incidents, including the delivery of a baby at the Knights Inn and 2 working fires. The Bensalem EOC reported that 60% of Bensalem's residents lost power due to downed power lines brought down by high winds and fallen trees. Thank you to the NFD members for putting in the hours to man the station during and after the storm. It is with deep regret the officers and members of the Nottingham Fire Department announce the death of former member Hank Degner, who passed away on Monday after a long courageous battle with cancer. Hank served as both Station Captain and Lieutenant during his many years at Nottingham. Earlier this fall the members of the NFD went to visit Hank and presented him with an honorary Life Membership, the highest honor given in the department. Our thoughts and prayers are with the Degner family and everyone within the fire & ems community lucky enough to have considered Hank a friend.